Our new puppy, Ruby, won over my friend Julie's heart when she came over to see her. Julie loved Ruby, and Ruby loved Julie... one thing led to another, and Julie decided to make our sweet Miss Ruby some homemade puppy treats. 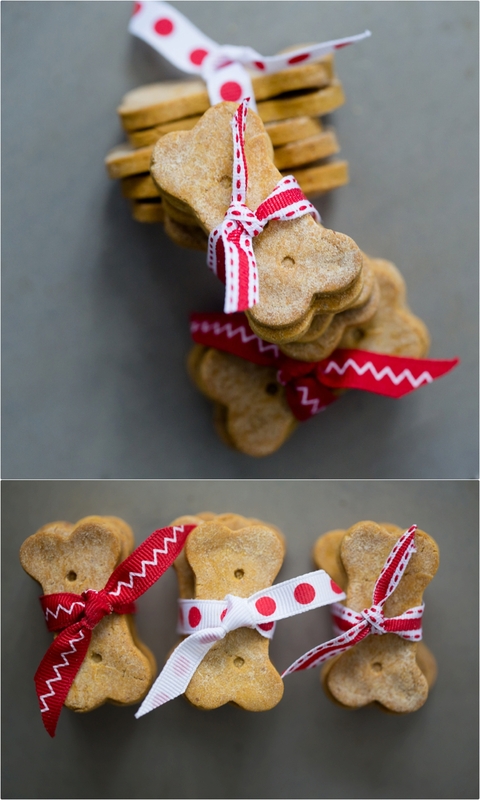 Ruby LOVED her puppy treats and finished them off quickly, but not before I managed to grab some photos of these cute and delicious (so Ruby says) puppy treats. Please see Julie's wonderful food blog, Blogieat, for the full recipe.